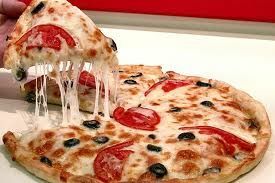 For over a decade, Pronto Pizza has impressed many with its excellent service and delicious menu. In a short period of time it became the neighborhoods most recommended pizzeria. Pronto has been motivated by the traditional fine Italian Cuisine. At Pronto we use only the finest ingredients and provide first class services so you can enjoy top quality food in a pleasant atmosphere. Our daily menu includes thin crust pizzas, specialty pies and other fine Italian dishes. Our food includes local seasonal ingredients and is Italian at heart. Please let us make your dining experience extra special in out newly renovated dining room. Pronto can beautifully cater your next affair.